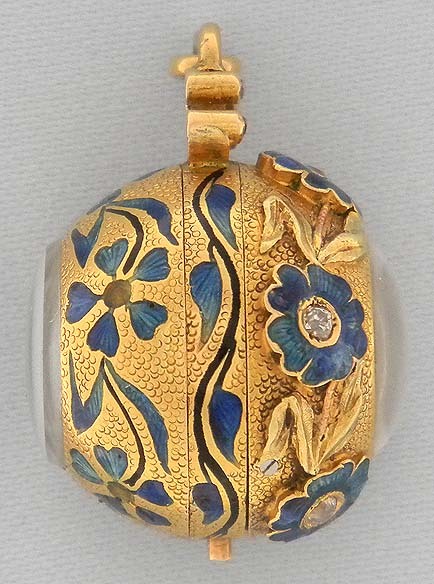 Fine, lovely and unusual Swiss 18K gold, enamel and diamond miniature bezel-wind ball watch with exhibition back circa 1910. The front with raised flowers and foliage. 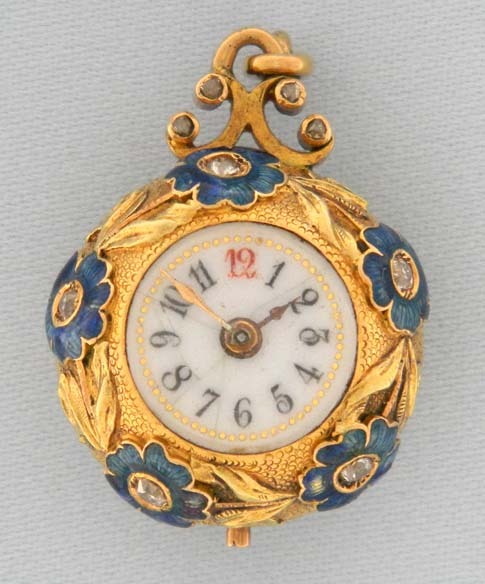 Enamel dial (hairlines) with gold minute markers and gold hands. The back and band with painted enamel flowers and foliage. 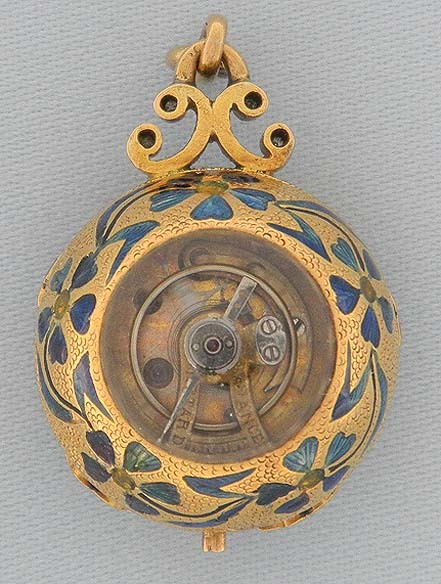 11 jewel lever movement.